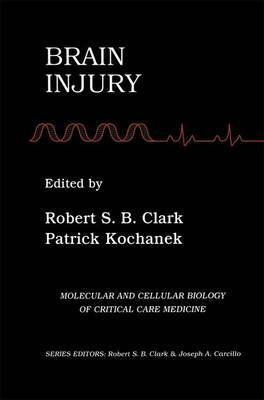 Brain Injury is the second volume in the book series, Molecular and Cellular Biology of Critical Care Medicine. In this volume, a group of internationally regarded experts in important areas of neuroscience and neurointensive care research address the molecular and cellular basis of acute brain injury. This text covers acute brain injury within a context relevant to the care of patients with critical neurologic injuries such as cardiac arrest, trauma and stroke. It includes recent data pertaining to established pathways such as neurotransmission, exitotoxicity, ionic-mechanisms, oxidative stress, inflammation, and cerebral vascular injury. In addition, rapidly developing areas such as cell signaling, adenosine pharmacology, apoptosis, mitochondrial dysfunction, neurocytoskeletal changes, and the role of trophic factors are reviewed from the level of in vitro modeling to human data. Other topics covered that are highly clinically relevant include the effect of genetic background and gender differences in outcome after brain injury, preconditioning, and the effects of currently used anesthetics and sedative agents in patients with brain injury.